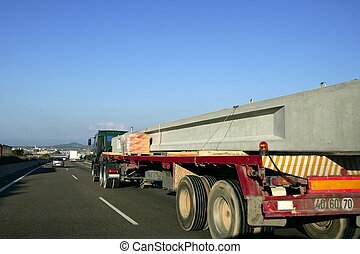 Truck on freeway. 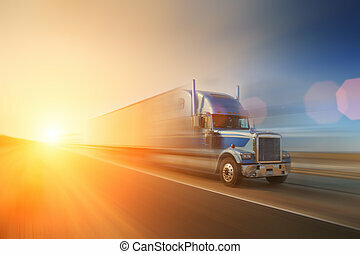 Truck speeding on freeway at sunset. 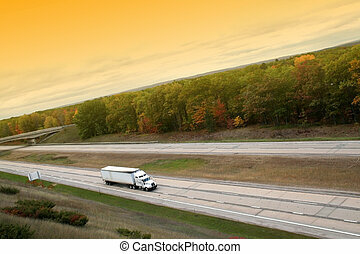 blurred motion. 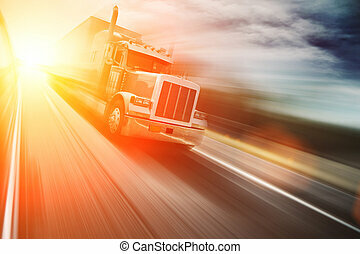 Truck speeding on freeway at sunset. 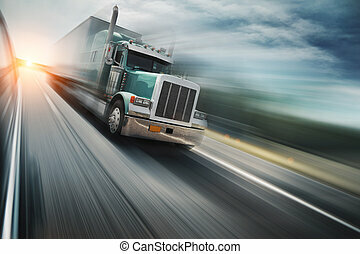 Blurred motion. 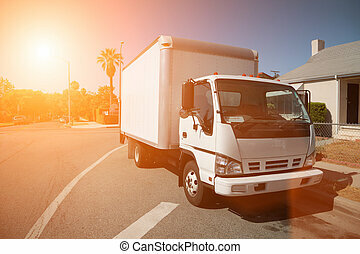 Truck on road - speed and delivery concept. 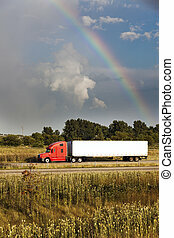 Semi truck driving under the rainbow - seen in Illinois. 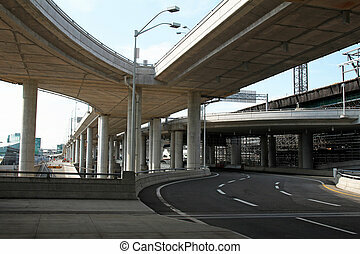 highway and modern bridge of city? 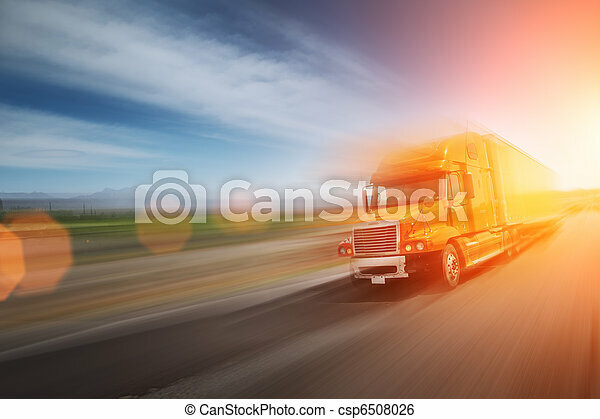 American truck speeding on freeway at sunset, motion blurred. 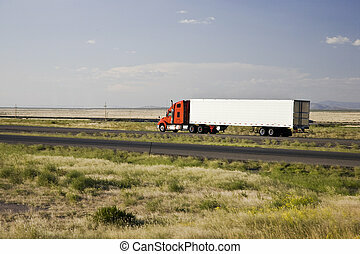 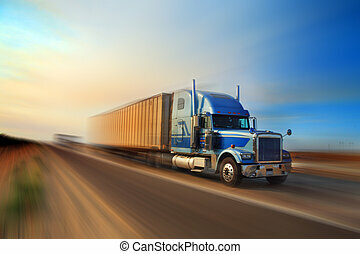 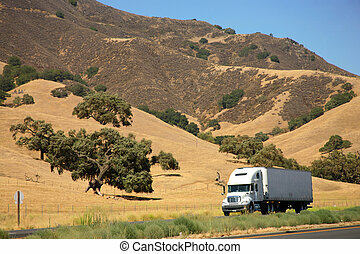 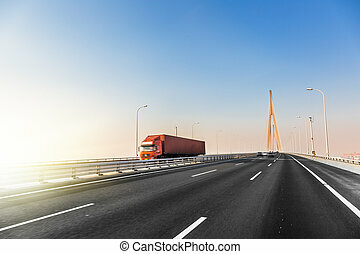 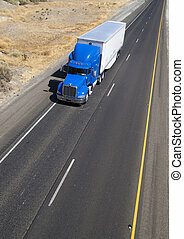 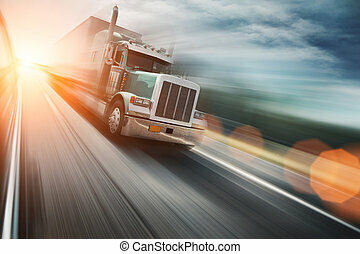 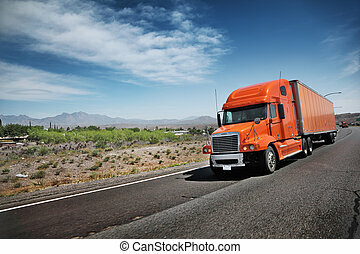 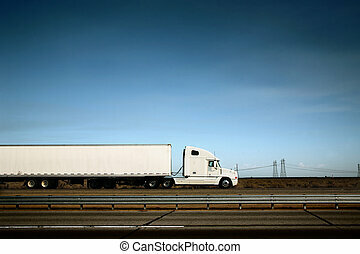 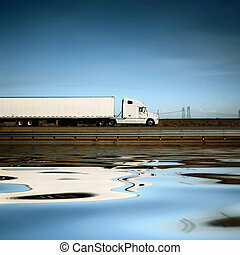 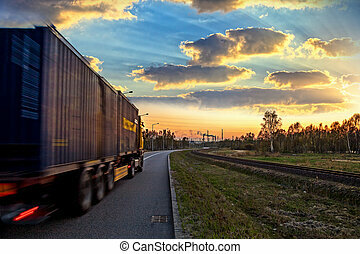 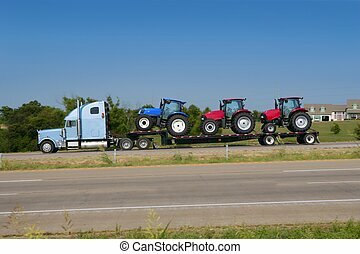 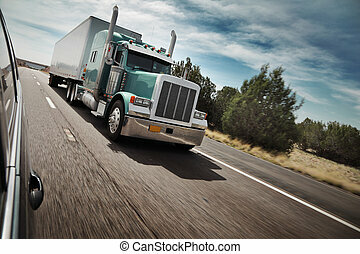 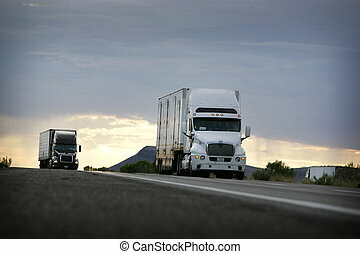 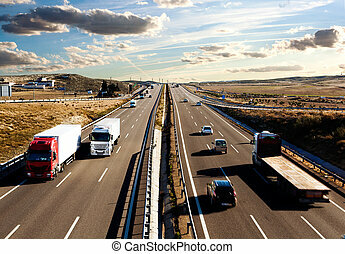 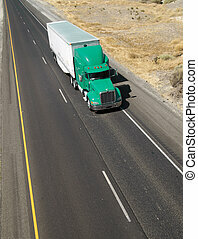 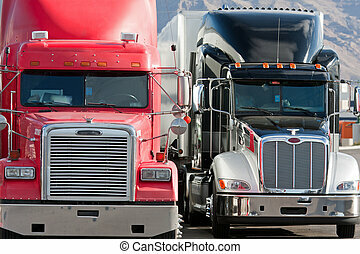 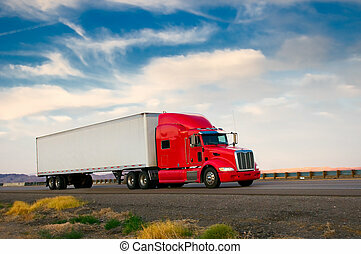 White freight truck driving on freeway under blue sky. 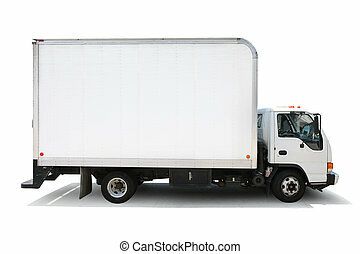 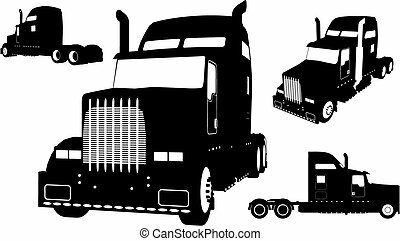 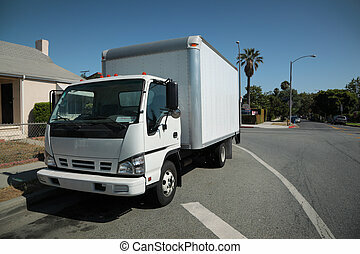 White delivery truck isolated on white background, clipping paths included. 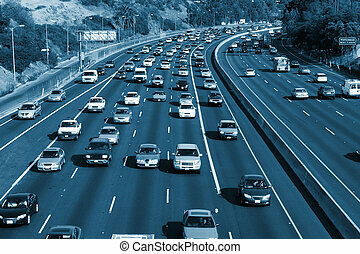 Traffic on the Hollywood 101 freeway. Los Angeles, California, USA.